This lovely walk is a little challenging in places but the views are definitely well worth the effort. 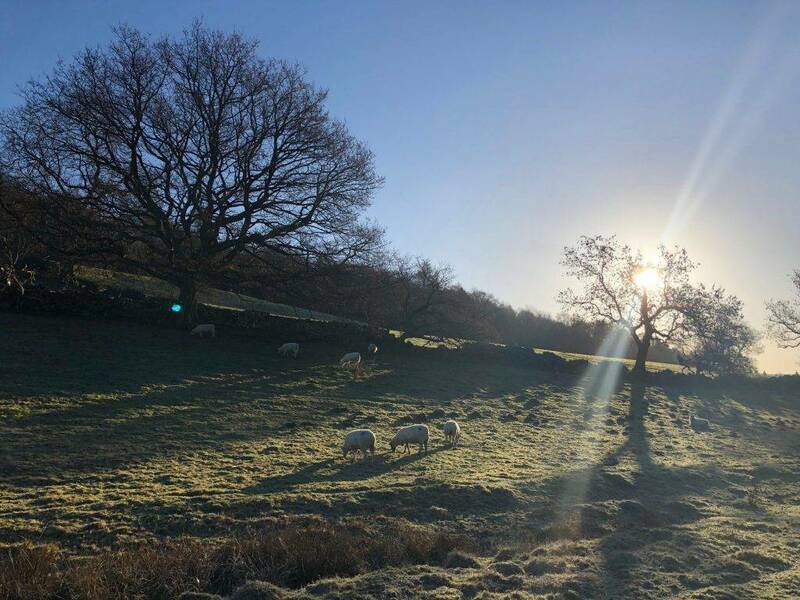 The route starts and ends in Hathersage, meanders along the River Derwent to Grindleford, onwards and upwards on to Froggatt Edge, through the NT Longshaw Estate, over to Surpise View, and back down into Hathersage. For the most part it follows well-made paths and lanes, although there are a few less distinct woodland and moorland trails. 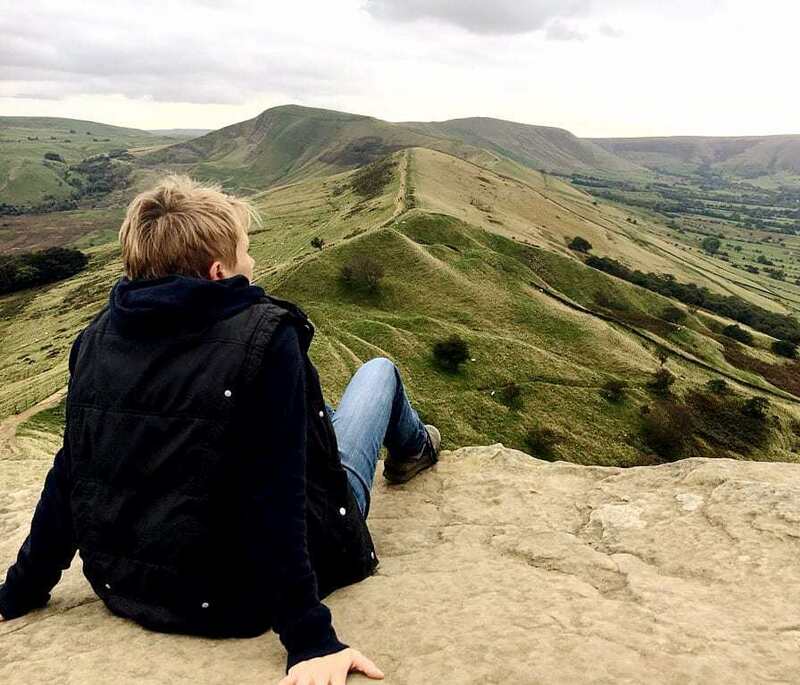 Hathersage has plenty of shops, pubs and cafes to enjoy before or after the walk, and there are three further cafes and a pub en route. 1. Park at the public car park in Hathersage (SK 23073, S32 1DD), which is well signposted within the village and located opposite the outdoor swimming pool. There is a small charge to pay. 2. Walk out of the car park, cross over Oddfellows Road and turn right, to quickly join Station Road (B6001). At Station Road turn left, and follow this road for approx. 750 metres out of the village, passing under the railway bridge and past the Cutlery Factory and Design Museum on the way. If you have time to pause here, this small museum makes an interesting diversion, and there is a lovely country shop and café on the site. 3. Just before reaching the stone bridge over the River Derwent at Leadmill, cross over the road and follow a public footpath off to the left, signposted to Grindleford and Harper Lees. 4. When you reach a farm signed Harper Lees, note that the footpath continues through a kissing gate to the right of a cattle grid, and enters a grassy field. 5. 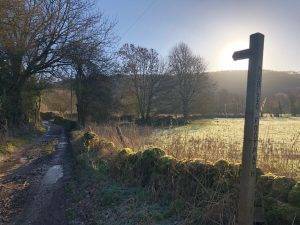 Walk straight across the field, following a fairly well trodden path, while the river bends off to the right for a short distance before meeting up with the path again as you continue through the next field. 6. Ahead you will see another kissing gate and a sign to show that you’re entering Coppice Wood. This is part of the National Trust estate at Longshaw. Continue straight on the path, all the time keeping the River Derwent to your right, ignoring a footpath off to your left. This beautiful deciduous wood is home to a wide variety of wildlife and makes a great spot for a picnic or a rest stop. Watch out for dippers and wagtails on the river. 7. Emerge from Coppice Wood into another field and walk straight on, still keeping the river on your right. 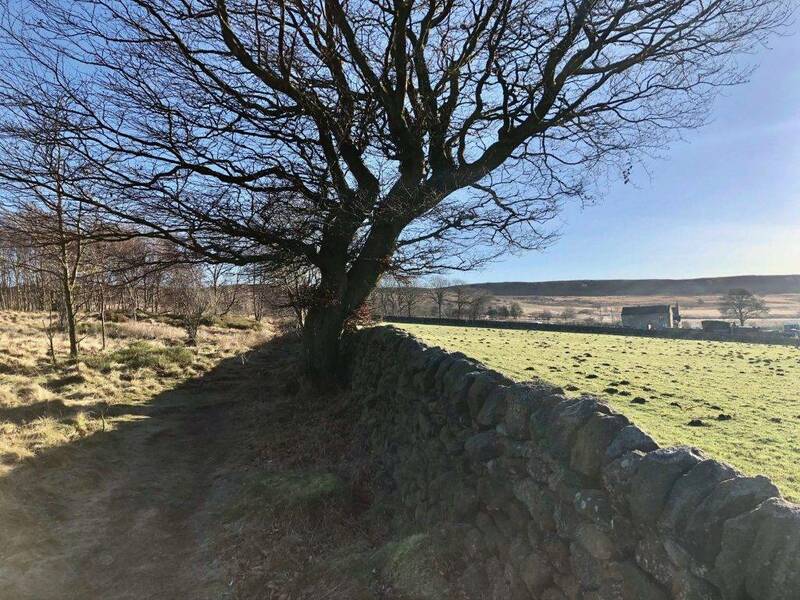 Continue through a wide gap in a stone wall into the next field and follow the well-trodden path on a slight diagonal to the left, heading a little away from the river. 8. At the entrance to the next field you will cross a small stream via an open bridge. At this point the River Derwent is a short distance away to your right. Continue straight on through the wide field, which meets up with the river again shortly before emerging at a gate on to the B6521. 9. Directly opposite you will see the Grindleford Shop and Café, located in St Helen’s Church. This community-run establishment is well worth a visit. It is staffed by volunteers, all of whom came together to save their village shop when it was threatened with closure. 10. Cross over the road and turn right. Almost immediately, before the bridge and traffic lights, follow a Public Footpath sign off to your left to follow a track that winds behind houses to the left, with a stone wall to the right. Continue on this path up to the NT woodland of Haywood. This wood is beautiful in all seasons, but in Spring it is completely carpeted with bluebells and well worth a special visit. 11. There are numerous tracks through the wood, but keep to this main path as far as possible. Go straight on at a crossroads of paths, and at a fork further on take the left fork. Bear in mind that you need to walk in a broadly south-easterly direction uphill. 12. The path eventually emerges on to the very end of Froggatt Edge, with the moorland of White Edge visible in front of you. If you’re in need of refreshments by this stage you can walk through a gate in the stone wall facing you and divert to the Grouse Inn, the stone building approx. 500 metres ahead. 13. To continue on the route, turn left as you emerge out of Haywood and walk to the left of the stone wall. Where the wall ends, bear right and again keep the wall on your right hand side. 14. Continue on through a couple of gates to emerge briefly on to the A625. At the road, turn left and walk approx. 200 metres to a prominent white gate. 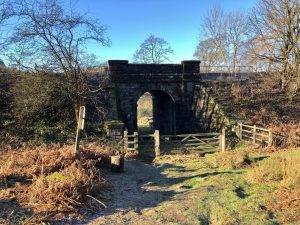 Go through the gate, which takes you back into the NT estate at Longshaw. 15. 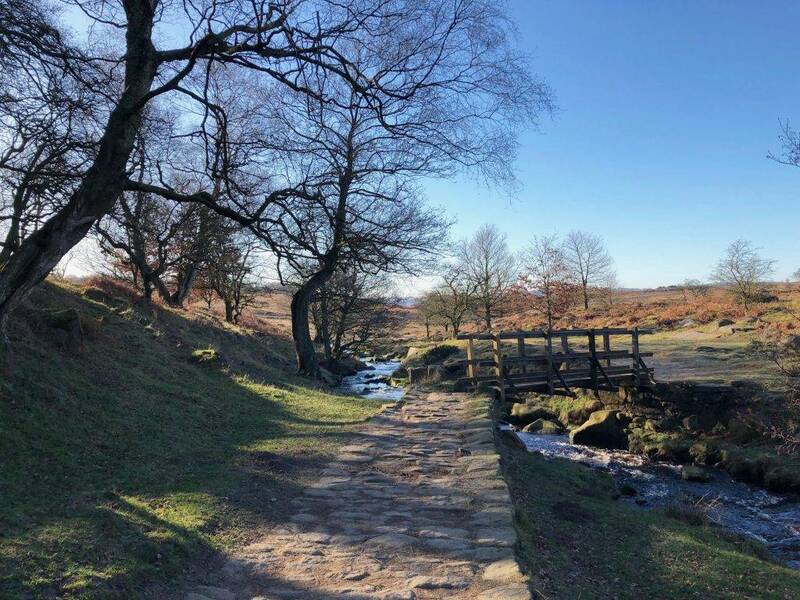 This lovely path takes you into the main part of the Longshaw Estate. To your left at this point you can see all the way down the Hope Valley on a clear day, to Hathersage visible in the middle distance, and onwards to Mam Tor. Follow the well-marked path, going straight on at a crossroads of paths, following signs towards the Visitor Centre. 16. Through another couple of gates you will see the National Trust gift shop and café on your right, which is well worth a diversion. To follow the route, continue straight on, following the signs to the Fox House bus stop. 17. At the road, cross carefully and turn right. Follow the footpath almost immediately opposite, signposted to Burbage Brook. At a fork in the paths, take the left hand fork. This path takes you down into beautiful woodland and over a picturesque footbridge across Burbage Brook. 18. Follow this path across the moorland, always keeping the stream to the left of you. The path is mostly well-marked although take care because it is uneven in places and can become waterlogged in wet weather. 19. When you reach a second footbridge with a crossroads of paths, you need to turn right, heading directly away from the bridge, and strike off across the moor. The path is mostly well-marked. 20. 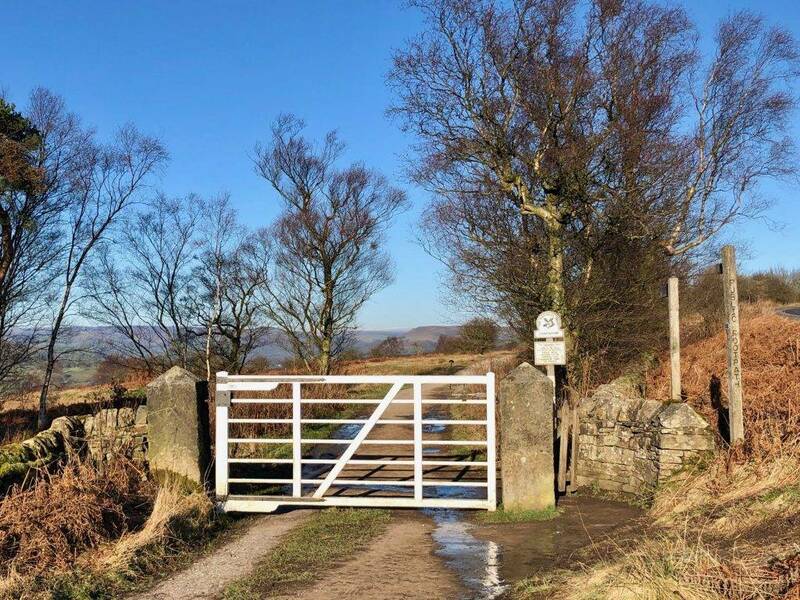 Once you have crossed the moorland, go through a gate to emerge on to the A6187. Turn left and walk on the path alongside the road for a short distance, before crossing carefully to go into the car park at Surprise View. Take the first footpath on your left out of the car park, through a gate and out across the heather. Follow this path through another gate (marked ‘Cherry’s Gate’) and on to Millstone Edge. 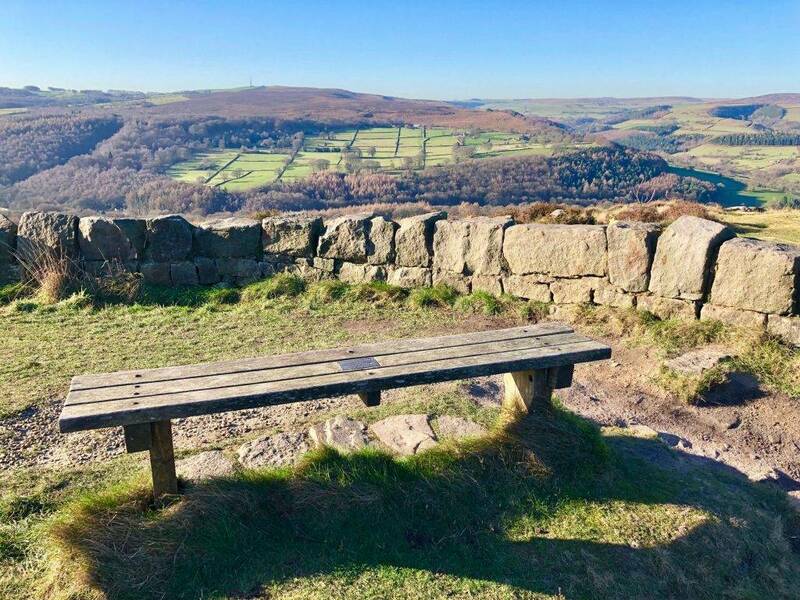 There is a perfectly positioned bench here, with incredible views all along the Hope Valley to Mam Tor in one direction, and towards Chatsworth House in the other. 21. The route then continues on the footpath to the side of the A6187. You can either cross the small wall in front of the bench and descend on the public footpath down, or retrace your steps to the car park and rejoin the road there. 22. Walk on the footpath alongside the A6187 for approx. 500 metres. After passing the road signposted to Ringinglow, which goes off to your right, look out for a track on the left towards Greenwood Farm. 23. Follow this track for approx. 500 metres until you reach a cluster of farm buildings. The path continues straight on, but our route turns right immediately before the farm buildings on a path signposted to Hathersage. Follow the footpath (note that it turns right across a field just before reaching another farm) as it twists through bracken and under a railway bridge. Immediately after the bridge the path turns right and then left, keeping a stone wall on the right. 24. You will emerge on to the path alongside the River Derwent that you started on. Turn right on to the path and retrace your steps back to Hathersage, turning right on the B6001 to head back into the village. On reaching the village you can continue straight on Station Road to reach the Main Road with shops and cafes, or return to the car park on Oddfellows Road on the right. Great walk! We did manage to take in some views even though the weather affected them. The instructions were spot on and I love how it said things like ” the river will be on your right” to reassure you are on the right track. Great for refreshment stops if you need them and good instructions for these too. Thank you! Mel, we are so glad you enjoyed the walk, repeat it again in the summer to get the views, or late summer to experience the profusion of blooming purple heather. Did the Views Glorius Views today. Really enjoyed this walk and my dog Dora absolutely loved it as there was plenty of streams for her to play in 😂😂.